1923 June 14th - Launched.
" 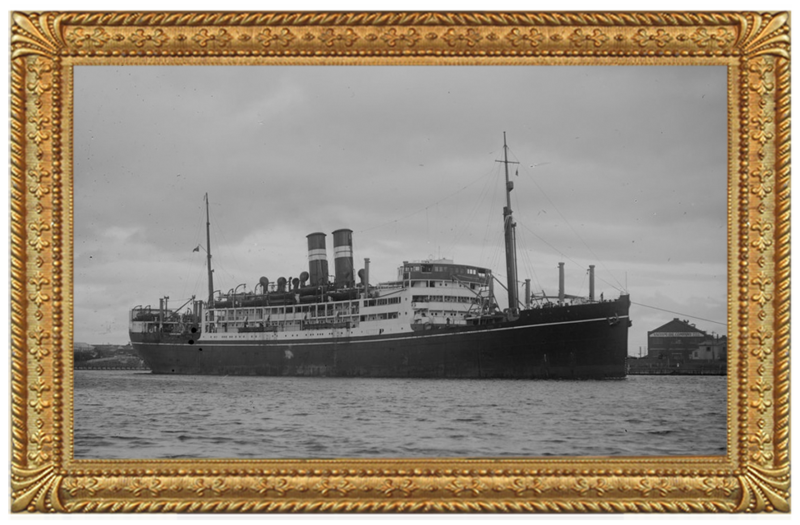 September 13th - Delivered as Talma for the British India Steam Navigation Company at a cost of £285,500, and was the first British India Steam Navigation Company ship of 10,000 gross tons. 1924 February 12th - Arrived at Singapore from Kobe with fire in No.3 hold which took two days to put out. 1925 March 26th - Another fire in No.3 hold broke out while she was in Hong Kong heading eastbound. 1936 August 17th - Cable parted and driven ashore by a typhoon in Junk Bay, Hong Kong. Repairs took nearly a month. 1943 March - While under the command of Capt H.M. Macdonald, Talma was involved in a prisonor exchange between the British and Italian Governments in Mersin, Turkey. Talma was straddled by bombs from an Italian aircraft despite having safe conduct. 1947 October - Last British India Steam Navigation Company ship released from requisition, being put in the Calcutta/Australia route. 1949 April 12th - Sold to British Iron & Steel Corporation for £32,000 to be broken up. Delivered in Bombay.
" April 14th - Left Bombay under tow of tug Twyford.
" May 29th - Arrived at Inverkeithing for demolition by T W Ward Ltd.